How Does a Wood Jointer Work? Learn the Mechanism Behind It! 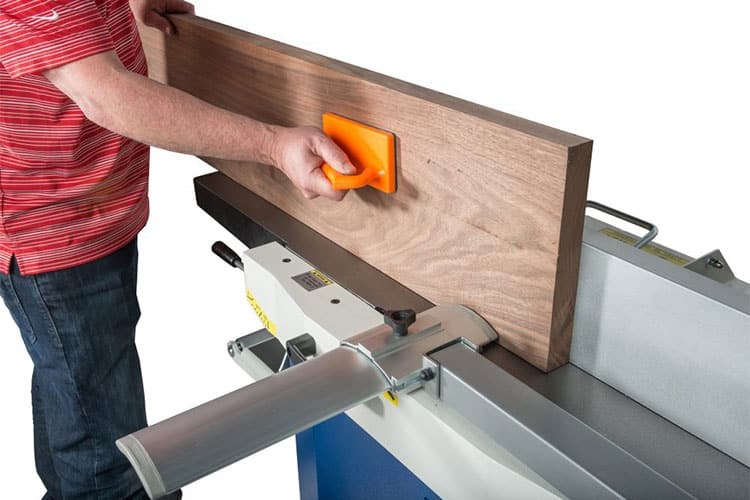 How to Use a Jointer to Prepare the Stock Properly for a Project? Every woodwork project brings out the beauty of its appearance when all the necessary finishing is done, properly. Well, there are many finishing processes in the woodwork profession but all of them draw down to the quality of the product. One of the important tools that provides a nice finish and saves time is a “jointer” that gets confused with “planer” but it actually has a distinct feature that enhances woodwork projects. Just as every tool in woodwork serves its particular purpose, a jointer comes in handy when you want to create smooth, flat surfaces along the edges of a wood piece. On occasions where large pieces of wood are cut down to preferred sizes, the surfaces aren’t usually even which makes a jointer the suitable tool to discard the unevenness. Now, attaining this perfectly even surfaces with the jointer can be quite uneasy, especially for beginners. In this article, we shall become familiar with all the essential reasons for why you need this tool at arm’s reach in the workshop as well as how to use a jointer effectively. Outfeed/infeed Table, it has an adjustable part that can be used to set the height of the cutters and remove snipe. The jointer adjustable makes the table tangent to the cutting circle in order to get an alignment with the cutters. Fence (with fix lever and adjustment lever), it is conventionally mounted to the table’s rear side and adjusted to 90-degree angle. Depth Scale, it is simply used to monitor the depth of cut with respect to the speed of cutting for various wood dimensions. Lever, the adjustable component used to adjust the fence and can be locked or released. Cutter head Guard, this is the guard disclosed for the jointer that consists of cutter head and a guide. Spring Knob, it is made of a tension knob that is turned or rotated when installing or using the guard. Base, it is located at the bottom below the infeed table (adjustment wheel) that is mobile. Power Switch, it is for powering on and off the machine. Enclosed Floor Stand, the lower bottom of the machine just right below the table. Having acquainted the significant parts of the tool, we can now carefully see how all these components work together to provide the smoothness of a wood piece to its optimal quality. An enumerated step-by-step procedure has been expressed below for readers that may just be using this machine for the first time thereabouts. Before you begin anything, you should fine-tune the jointer to your preference so that you do not experience frustration from having crooked edges or washboard surfaces. If you do not know to tune it properly then you can try using the default tune up of the machine, initially. You can try this on any random piece of wood in your workshop. And if the result is not as you like, you can try different settings on that piece of wood, until you find the perfect one. As you want the most of your favorite jointer, you need to work on the fence by firstly putting it in a square position. Failure to set a square fence can lead to frustration as well while working with the machine. A standard jointer has its related boundaries that its user must adhere to. Generally, for a safety measure, set a lower limit of the length and breadth for the board’s size that you intend to run through the machine. You can check the jointer’s manual for feasible, convenient ranges. Do not be tempted to engage in milling smaller stock. That can be dangerous and hurt you badly. An appropriate measure for the upper limit can be to set the length of the board not beyond double the length of the infeed table. Ideally, the board should be given a nice balance against the board’s surface. As for the depth of cut, just ensure that you set it in a manner that it shows your progress after every pass without uneasing the motor, of course. The surface texture of the jointed edge(s) in a wood piece can be influenced by the direction through which the grain runs on your stock. Understanding the property of the grain enables its user to avoid tear-out or chatter in the jointing process. Position your stock against the table by face-jointing your stock prior edge-jointing so that you attain a flat face to place against the jointers fence. Failure to do this may affect the quality of your project and compromise a safe procedure. In accordance with the previous step, you should now be able to determine which edge(s) that will be jointed. For the case of one edge, place the concave edge down on the jointer bed. Be aware of the severity of the board’s crook in case it may tip the leading edge of the board into a cutter head which could result to snipe. For a situation whereby the crook of the board is intense, try marking the inside by, say, using a straight edge to draw a straight line that eliminates the smallest stock necessary to attain a straight edge. Now, reach out for a band saw to trace and cut to the line of reference in order to create an edge that will be safe to run through the machine. At this stage you may begin to face a square fence problem as set earlier. This usually arises when you have many jointed boards form a panel which causes slight deviations from an appropriate sureness. To compensate for this, arrange the boards on the panel according to best forms then mark out the tops of every other board in a way that shows the face that will ride against the fence. Turn over the unmarked boards and mark the other side. Each time you take to the jointer, you should invariably place the marked face against the fence. You can now set the board against the fence as preferred with respect to the edge on the table. At this point, you must ensure that the wood piece is well positioned against the fence. This is a critical juncture that requires adequate pressure, firmness and steadiness. Just try to not to apply much weight as you handle the jointer as you put your left hand on the top edge near the front of the board. Because the machine runs on a specific mechanical process, overdoing this process will likely distort the board and cause a concave edge after one finishing a pass. Try to set your left hand to move only few inches pass the cutter head as you move from the infeed to the outfeed table. 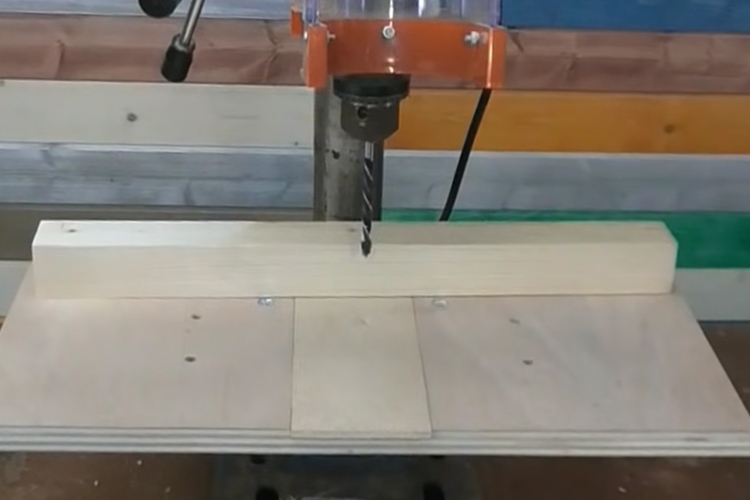 After maintaining the transition with the jointer, still keep left hand locked into position for the cutting period with consistent downward pressure while the board is firmly held against the fence. The right hand also has its technique to portray like the left but uniquely. During the jointing process, the right hand should serve as an enhancement for steady pressure towards the fence. A steady feed rate should also be achieved while this is applied. Going beyond a steady rate and pressure can lead to a rippled surface finish. We have seen that the jointer can be very efficient if a user follows its usage correctly, however, mishaps are certain to occur if the necessary precautions are not taken. Here, we shall also be further informed on the safety instructions accompanying how to use a jointer properly. Know your machine. Be sure to read the owner’s reader manual and know about the applications, limitations and possible hazards. Guard against electrical shock by avoiding body contact with grounded surface. Remove adjusting keys and wrenches before turning on the machine. Do not use the jointer in unsuitable environments. Do not use power tools in damp or wet locations and ensure there is good illumination. Cluttered areas are prone to causing accidents, hence, keep work area clean. Make the workshop childproof. Install more security equipment’s such as padlocks and master switches. Wear proper apparel. Avoid putting on loose clothing or jewelry and wear fit high-friction footwear. Use safety glasses or dust masks as well when carrying out the operation. Disconnect machine from its power source immediately after use. Maintain the machine in best conditions and inspect for damage parts occasionally. I believe that with the information about jointers and its sophisticated characteristics, you should have a re-evaluation about the performance of this machine as regards how efficient it will serve in the workshop for preparing stock properly in any project. Carefully following the procedures on how to use a jointer elaborated above will enable you to produce perfect edges and significantly reduce frustration as well as manage time optimally. 5 How Does a Wood Jointer Work? Learn the Mechanism Behind It!